Of course, the decision to extend the payment is to be welcomed not rebuked, but it is the set of circumstances which makes the measure necessary which is so worrysome, and the feeling that the country whose economy these ministers are responsible for managing is now more akin to a ship in mid Ocean, where the steering tackle is jammed and the captain has neither the faintest idea in which direction land is to be sought, nor knowledge of the appropriate wavelength across which to send out a Mayday rescue call. 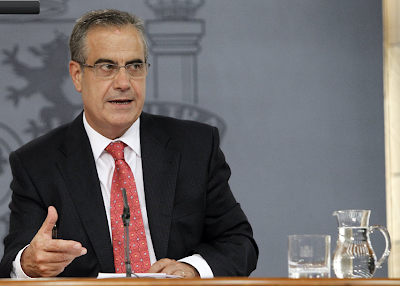 Truth be told, the same could be said about the Spanish government decision – announced last Wednesday – to restore some â‚¬500m cut from the state infrastructure investment budget for next year as part of a slight “easing” of its austerity plans. An easing which Minster Salgado was only too quick to inform us would not change the governments “complete and unwavering” commitment ti fulfil its promises by reducing the annual budget deficit in line with agreed targets. Of course, this increase could easily be justified as a measure to take some of those unfortunate people who find themselves stuck on the unemployment register out of the never-ending dole queues, but still the doubts remain. Herman Van Rompuy admitted earlier this year that the Euro Area administrators had “fallen asleep at the wheel” over the last decade in allowing the severe competitiveness problems many economies now face to come into existence in the first place. But, following the calming of the markets in May with the ECBs decisions to maintain emergency liquidity provision and intervene in the secondary bond market, together with the creation of the European Stability Fund, could it not be that the drivers are not one more time lurching soporifically over those very same steering wheels? Certainly there is a real nonchalance at the moment about budgets which are based on hopelessly unrealistic government growth forecasts, but then again, as Mr Zapatero well knows, any oversights can well be contained by balooning just a tad more Spain’s rising mountain of off balance sheet debt (see my extensive post on this last week). Or then again, as PSOE Municipal spokesman Antonio Hernando explained to the press agency EFE in an interview today, the government is planning to make credit lines available for Spain’s hard pressed local authorities to pay off some of their short term arrears via an institution known as the Instituto de CrÃ©dito Oficial (ICO), so effectively debt will be melted down in one place, only to be accumulated in another. 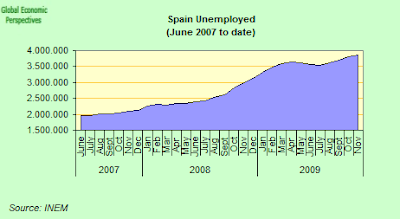 Of course, as Economy Minister Elena Salgado stressed when announcing the extra package (which for its magnitude is, of course, sheer tokenism) the additional â‚¬500m in spending â€“ which represents only about 0.05 per cent of the countryâ€™s gross domestic product â€“ has been made possible due to the falling cost of servicing Spain’s debt as interest rate spreads drop back from their May highs. But isn’t this, surely, short-termism and short-sightedness at its very, very worst. And especially if you look at how the spreads are being reduced. 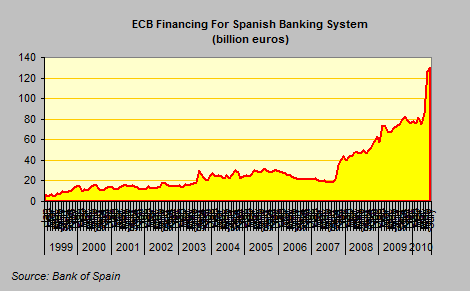 In the first place Spain’s banks have been massively increasing their borrowing over at the ECB. And in the second place, as explained in this article here, the government has been increasingly resorting to the social security reserve fund to buy its bonds. In fact, the argument about Spanish bank borrowing over at the ECB provides us with one good illustration of the quaint Spanish custom of permanently moving the goalposts in argument when the going gets tough. Back in June 2008 MAFO (Bank of Spain Governor Miguel Angel Fernandez OrdoÃ±ez) was arguing that Spain’s Central Bank was meticulously targeting around the 8.3% of total borrowing level which constituted the % participation of the BdE in the ECB capitalisation. 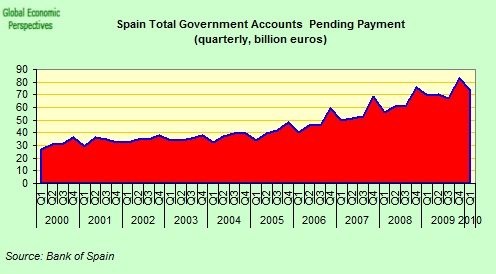 He did so when speaking before the Economy and Taxation Commission of the Spanish Congress (June 24 2008 – see this file page 9) and he stated explicitly that Spanish banks had increased their participation in eurosystem fundings, “without going far beyond the equivalent participation in the key of the Bank of Spain in ECB capital”. As he says in Spanish “elevando su recurso al Eurosistema…sin alejarse de la participaciÃ³n equivalente a la â€œclaveâ€ del Banco de EspaÃ±a en el capital del BCE”. Well when this target didn’t hold, we moved on, and by March 2010 JosÃ© ViÃ±als (the Bank of Spain’s “man” over at the IMF) was arguing that such ECB dependence on the part of Spain’s banks was not really troubling, since it was, after all, only proportional to the share of Spanish GDP (13.5%) in total Euro Area GDP. Fair enough, you might think, but then in June this year the proportion shot up to 24%, and then in July to 30% (no wonder interest spreads have been coming down), but all, I am sure is “normal” and explicable, if only you are constantly willing to move the goalposts far enough. But just to show us that not everyone is currently falling asleep at the wheel, the Euro did hit a five week low of 1.2673 to the USD on Friday, after European Central Bank council member Axel Weber said the ECB should help banks through their inevitable end-of-year liquidity tensions before determining in the first quarter of 2011 when to withdraw emergency lending measures. â€œMost of these discussions about the continuation of the exit I think will be focused on the first quarter,â€ he said in an interview with Bloomberg Television in Frankfurt. â€œItâ€™s clear that we need to re-embark on a normalization procedure.â€ Re-embark would be the keyword here, since it implies that at the current point we aren’t on one, nor is it envisaged we will return to one anytime this year. Indeed Weber added that it would be â€œwiseâ€ to keep full allotment in weekly, monthly and three-month refinancing operations until after the end of the year, while six-month loans should be allowed to expire. Monsieur Trichet and his governing council have guaranteed unlimited seven-day loans, the main plank of ECBâ€™s emergency policy, until October 12 and unlimited three-month loans until the end of September. Additional details on the bankâ€™s timetable after that will await, in his preferred expression, “rendez-vous” in September. 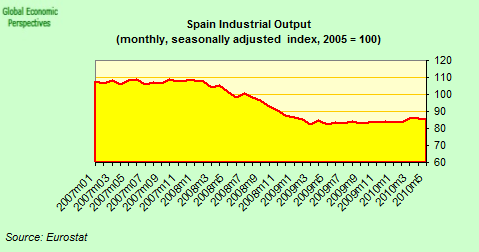 Going back for a moment to the Spanish administration’s tendency to move the goalposts, we have also seen a permanent chorus of complaints from them that using Reel Effective Exchange Rate data to assess competitiveness is not valid or relevant in the Spanish case (those on whom this data fall negatively rarely are prepared to accept it has any), since Spain’s export sector has been well able to retain its share in global exports despite the distrortions produced by the property boom. Fine! Perfect! But then how the hell do you explain the difference between these two charts? The difference is evident, even to the least well-trained eye. Spain and Germany face the same external demand conditions, so why is German industry reacting like a rocket launching itself off a ramp, and Spanish industry responding like a limp dinghus in receipt of only the mildest of mild stimulation? Come off it, Spain’s industry has a long (or as Jimmy Cliff would have it “hard”) road to travel before it can step into the ring with its German counterpart. All that the arguments we have been hearing so much of recently actually do is encourage complacency (you know zzzz at the wheel), while what Spain needs is a call to action. 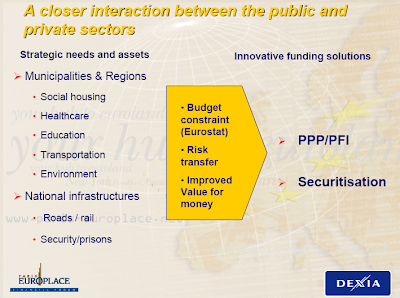 But going back to the pension system, the reserve fund this year has something like 64 billion euros at its disposal. In 2007, the share of the total which was invested in Spanish bonds was somewhere under 50%. At the present time this proportion has shot up to nearly 90%. 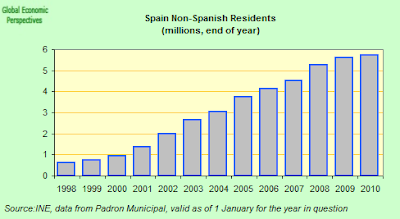 At the end of 2009 (when the fund held 58 billion euros on behalf of Spain’s pension contributors) some 44.53 billion (or 76.27%) were in Spanish bonds. This left 13.486 billion euros which was distributed between Dutch (39.56% of foreign holdings), French (30.49%) and German (29.95%) bonds. So the proportion of domestic bondholdings has been creeping up during the crisis, and his year, the ComitÃ© de GestiÃ³n del Fondo de Reserva has, in its wisdom, decided to go even further, and invest another 5.191 billion euros in bonds. At the same time some 3.256 billion euros currently invested in foreign bonds will mature. 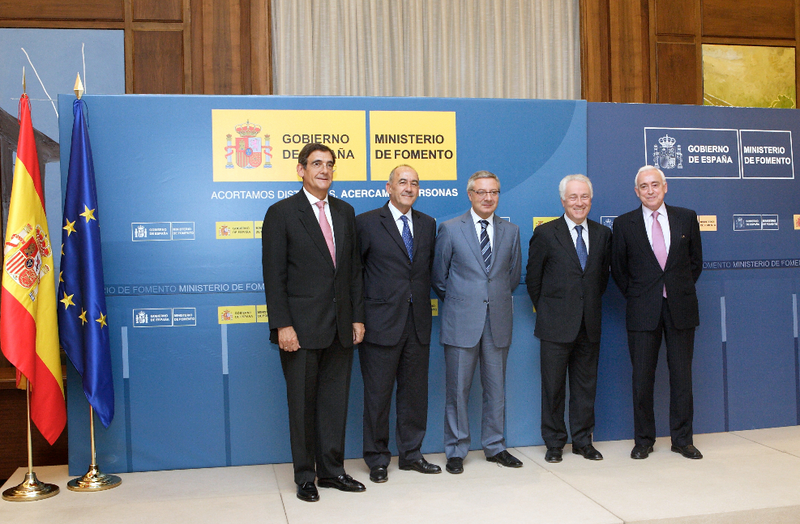 According to official sources, cited by the Spanish publication Cinco Dias, the combined total will be invested in Spanish government debt, and as a result, according to estimates from the Secretary of State for Social Security, Octavio Granado, nine out of every ten euros of Spanish pension savings will be invested in domestic government debt. Whether Spain’s future pensioners have their savings adequately hedged at this point, I will leave you to judge. The key point to grasp, is that these 58 billion euros or so (nearly 6% of Spain’s GDP) do not count towards the Maastricht debt (EDP criteria), simply because they are help by another government agency. So what the spokespeople for the Spanish banking system imagine is that what we have in front of us is a repetition of the crisis which hit Spanish property (after the end of the Olympics boom) between 1992 and 1995, and it is this feeling of “self certainty” which encourages them to continue adding to their property holdings almost indefinitely (since after 1996 they were even able to sell the property accumulated at a profit). They refuse to accept that this time it IS different, they cite the presence of a global crisis almost as an excuse, refuse to see that this makes it far more difficult for Spain’s economy to recover, refuse to accept that Spain’s industrial infrastructure has become badly distorted in a way which will require years to put right (given the limitations of the Eurosystem), and feel cushioned by the large reserves the built up under the dynamic provisioning system they instituted following their earlier experience, and, most importantly of all, they want to hear nothing of any possible 20% reduction in prices and wages (internal devaluation), which would, of course, lead to a huge impairment in their mortgage book. Naturally, what is going to happen if we reach 2015, there is still no sustained return to growth, unemployment remains near today’s very high level of 20%, and house prices keep falling (and incidentally, not all offialdom buys their “this time it’s the same argument – here’s a link to a recent working paper from the Bank for International Settlements which predicts a fall in Spanish property prices of some 75% between now and 2050, simply for demographic reasons) they don’t seem to ask themselves. Or maybe they do. Maybe at that point they will simply come out and say, sorry we made a miscalculation, can we have a bailout please (knowing that Spain is, effectively, “too big to fail”). So they are effectively playing Monte Carlo rules, with all the risk being assumed elsewhere (including, as I say, by those who week-in week-out are contributing to the pension system). So the interests of Spain’s bankers (and the government which seems to be bending to their will) and those of the Spanish population at large (which are for a rapid return to economic growth, and job creation) couldn’t be more diametrically opposed at this point. Coming back now to the delicate issue of pensions, it is interesting to note that only last week a group of EU member states in central and eastern Europe, plus Sweden, made a direct appeal to Europe’s leaders to take into account the cost of pension system reform when assessing debt levels. Basically the issue concerns those countries who have, in recent years) introduced funded pension schemes (or second pillars) that invest and generate money to future pensioners using the funds saved by contributors over the course of their professional careers. This is a major departure from the so-called pay-as-you-go schemes, where the money contributed by employees is immediately distributed to pensioners as payments. Now, as all parties recognise, the phasing-out of the pay-as-you-go system will take decades. Once itâ€™s over, governments should be able to play a much smaller role in making sure thereâ€™s enough money to pay pensions. In the meantime, the state has to subsidize the old scheme thatâ€™s left without much of the current revenue from people in the productive age. In most cases, governments issue more debt to keep monthly payments going to current pensioners. The problem is that during the transition period a double burden falls on the pension system, since contributions are diverted (or at least partially) to fund future liabilities, while current liabilities still have to be met. Simply passing all this over to taxation is not desireable, since after years of ultra low fertility many EU countries now have very “thin” younger generations, and the burden falling on their shoulders may either make job creation very difficult (due to the prohibitive costs) or lead many younger people to emigrate to “younger” countries where the burden is lower, producing negative feedback effects, which ultimately may make default inevitable. So Lithuania, Latvia, Bulgaria, Sweden, Slovakia, Hungary, Poland, Romania and the Czech Republic have made their appeal, as the WSJ blog report on the topic says, they are effectively asking for the accruing debt to be swept under the carpet (just like so much of the other debt we are looking at), but as the countries concerned stress, they are effectively being penalised by the Eurostat criteria for carrying out reform. This means those who have not reformed have little short term incentive to do so. Which brings us back to Spain, and its much vaunted pension reform. 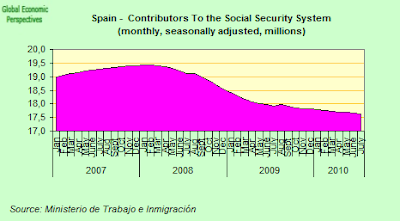 Spain’s system is effectively a hybrid one (in the sense that there is a small reserve fund), but given the massive ageing which is about to take place in Spain, on the existing parameters the fund won’t need that long to start going into negative numbers (there is quite a lot of dispute about exactly how long – obviously this depends on the level of economic growth and the number of contributors). So the plan is to increase the working life for each contributor (retiremnet age rises from 65 to 67), and reduce the level of pension (in relation to lifelong income), by changing the credit criteria. Well, all this is fine, but what Spain really needs is a full second pillar (along the lines say, of the Dutch or Norwegian ones), with an independently administered fund (ie one which doesn’t invest all the savings held on behalf of Spain’s citizens in Spanish government bonds). But as the Eastern countries suggest, the short term costs of the transition rise as the population ages, so countries (like Spain, unfortunately) get locked-in to the current, ultimately unsustainable system. Even though life expectancy rises, potential active working life does not seem to lengthen to the same extent, so there are limits to how high you can keep pushing the limit. As a piece of short term expediency, Spanish policymakers effectively turned a blind eye to the massive irregular inward migration which occured during the early years of this century (and there were ultimately two “amnesties” to resolve the problems which were building up). This worked for as long as it did, but now the migrant flows are begining to reverse direction, as able bodied migrants head elsewhere looking for work, while dependent relatives arrive as part of the process of family regroupment. My point here is not an anti-immigrant one – having an inflow of migrants can help sustain the elderly dependency ratio while the pension transition takes place (if it takes place) – but if you have an unsustainable economic model, and then you enter denial when it becomes clear that this model is unsustainable, then obviously simply encouraging inward migration does not solve your problems. Especially if the job market collapses, as it has done. As we can see in the chart below, the number of contributors to the Spanish Social Security System has been falling continuously since th start of the crisis, and there is no sign of this trend turning the corner. So to come back to the original issue, Spain’s debt to GDP is obviously, in reality, rather higher than is being admitted publicly (or measured by Eurostat). 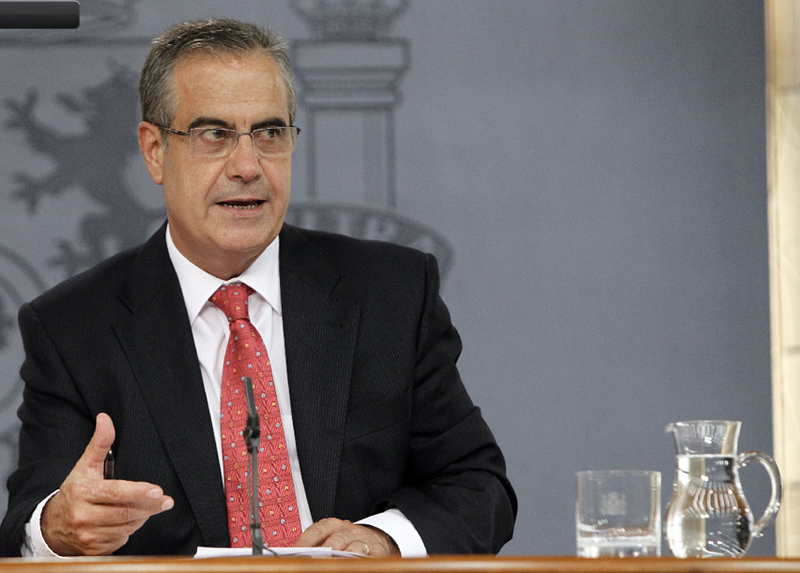 A request for clarification from the Bank of Spain as to the methodology involved in the Financial Accounts they published, both clarified and didn’t clarify the key topics. The Bank say that there is no available document which briefly explains the differences between the concept of debt according to the Excess Deficit Procedure (EDP) and total liabilities shown in the financial accounts. However,they do say the major differences are due to fact the EDP debt that does not include accounts payable, that liabilities are deducted for debt movements between public authorities (the social security fund issue)and liabilities are valued using their nominal values rather than their market values. On the other hand, they make plain that the debt of public corporations is not included in the EDP calculations (nor it seems in the Financial Accounts). So there is something like 50 billion euros in debt (or 5% of Spanish GDP) lingering around on the public corporation balance sheets. The Bank of Spain also state they do not keep any data on PPPs. At the present time I am trying to identify who exactly does in the Spanish case.The issue of PPPs is a complicated one (I have a post on the whole topic here). Basically PPPs often work on the basis of accounts receivable (see this wikipedia entry for a description of what is involved, and this supplement on “factoring” since PPPs in many cases with public authorities are a form of factoring). Basically, PPPs work like this. You want to build a new motorway, or a hospital, or a “city of justice” (the Barcelona case), and you either don’t want to, or can’t, accululate more debt. So you seek private finance (Berlusconi’s bridge to Sicily probably incorporates some element of this) and agree to pay for the use of the facility (per user), with the unusual detail that, as opposed to the typical “toll” system, where there is a stream of income from the users, the public agency meets the obligations out of current income. This system (in the toll road case) is known as “peaje en la sombra” (or shadow toll) in Spain. Of course, although no debt is formally incurred, the “virtual” debt still has to be serviced, which means there is a constant drain on revenue, and since the securitisation normally implies some sort of “super senior” status for loan, then what happens is that paying these become a priority, while obligations to real current suppliers, where there is no such securitisation, go to the back of the queue, with the obvious consequence that arrears in the normal accounts payable simply pile up.According to Spain’s Financial Accounts, there were some 73 billion euros (7% of GDP) of these in the entire government system at the end of Q1. For those who are still not clear what this is about, here’s a chart I found from a road show promoting the PPP model, which shows a list of advantages and possible applications. And among the advantages of the system is, of course, that it largely falls outside the current Eurostat EDP accounting system. And here is a photo of Spain’s Public Works Minister JosÃ© Blanco (and friends) beaming away at the camera over at the offices of the Instituto de Credito Oficial (ICO) after signing a PPP type deal with banks and builders to reinstitute 17 billion euros in cuts from his department via another route. The agreement was signed in April (see Spanish press release here, strangely there was no version of this on the English language website), and although the plan seems to have been temporarily shelved at the moment, it wouldn’t be surprising to find – during the renewed bout of “sleeping sickness” from which our institutions all seem to be suffering – the plan were being suddenly reactivated again. So, as I ask at the start of this post, just how many time can one driver fall asleep at the wheel and live? Well, looking at Mr Zapatero and his administration the answer obviously is, many. They seems to have more lives than the proverbial cat. And when we come to those inspectors at Eurostat, and the new debt vigilantes at the EU Commission, the answer would also seem to be, quite a few, since the loopholes described here are obvious, and must be known to all, and yet nothing (so far) seems to be being done. Spain’s debt for 2010 according to the EDP is expected to reach around 77% of GDP (EU Commission spring forecast), and while we feel it is still possible to agree with the IMF when they say that that “Spainâ€™s (public) debt ratio is low compared with many other countries in Europe”, it is only possible to do so if we do not forget that if we add in the 6% that is held by the Social Security Fund, the 7% that has built up in Accounts Payable and the 5% owed by Spains Public Corporations, we end up with a total of something like 95% debt to GDP, which is, of course, above the average. And this is not to even begin to count all those impending pension liabilities. But getting through to the bottom line now, my big beef in all of this is not that the Spanish government has been spending so much money to address the current crisis, it is that it has spent so much money, and NOT EVEN BEGUN to address the roots of the crisis. That is the ultimate condemnation of what has been going on in Spain, and is the question which generations of Spaniards to come will be wanting to put to their predecessors. Maybe the Spanish government just does not take the severe measures that are obvious needed, because they are afraid not to survive the next elections if they do, and does this show us some imperfectness of the democratic system in handling crises. Hi, forgive me for asking. 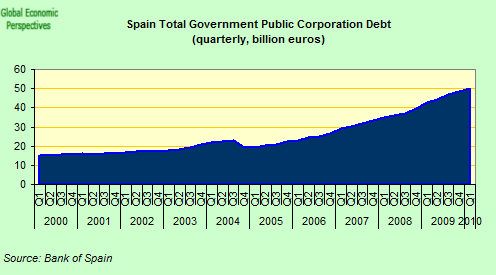 If the level of public debt is already at 95% if you count everything, how could Spain do an internal devaluation? This would naively computed leave Spain with a public debt of 120% of GDP and the housing market would collapse further. So reading this article is the only possible conclusion, that the case is hopeless and Spain will default? Great article – this is exactly how the situation appears here, not just to me but to many locals too, we are fortunate to have someone describe it so well. Oliver, the internal devaluation would have to be accompanied by major debt restructuring at lower rates I suppose, and even that would not guarantee a transition. I think the main point is that there are really no good options, the government has no real plan to restructure the economy , and I wonder if it would be right to try to continue to support current valuations – instead of bailed out banks , longer debt repayments and lower wages, and just possibly a new wave of investment in a cheaper country, maybe write offs , bank failures, reduced and more affordable property prices, sovereign debt ‘restructuring’ , and a fast rollover in employment at reducing wages would be more suitable ? In other words the economy would have to be rebuilt after a series of serious failures. I wouldn’t (dare !) go beyond making suggestions publicly, you would have to be of the political breed to lead any movement. My intuition is that the right will emerge eventually from the ashes and be merciless in reshaping Spain’s direction, people get pretty fed up sitting around with a few hundred euros a month. I don’t think the PP has many better ideas overall, but they will certainly be more stringent and pointed, something which might bring in new efficiency and stronger direction, so returning some of the dignity many Spanish pride themselves of. The PSOE would have to pull off some real successes somewhere to continue. Ron, I think that the government had the chance to browse over Spanish debt, the future of its economy and turn on the international market failure as an excuse to tighten up when the GFC first started. Unfortunately most governments try to get as much as they can, while they can and for as long as they can, as a measure of their success to redistribute amongst their loyal subjects – and this has been achieved by a complicated interweaving of public finance , state enterprise and private enterprise from which the government could not simply step out of intact (or with its various loyalties intact). There are limits to the government spending however, and it has mostly reached those – at that point it cannot put on new face. To me this is a shame as the PSOE has other more positive facets. So in reply I think whoever was in power would be ousted for mismanageing the country, the PP after general strikes and commotion plus their stronger links to the financial world, the PSOE for not being realist/strict enough and poorly placed spending without exit. If governments were any good they would be avoiding this sort of crisis, not playing around trying to handle them. This will help to drive the Euro down, so well done! Most governments in the EU are up to hiding the true state of affairs, simply because the news is so bad. They are hoping things will turn again. As matters deteriorate, the governments will change, but the attitudes will not. Japan is yet again, a marker for the “advanced” democracies attitude to the depression. If they ignore it long enough …..
Great news for those of us who blog about human weaknesses! Not so good for the fat, lazy voters of these countries as they will have to adjust later rather than sooner. Bnaking is a weapon of mass destruction when combined with kleptocracy! seems to be the Greek downard spiral starting to gain speedâ€¦..
Wouldnâ€™t at least be wise to take advantage of the breathing space to speed up, build a sense of urgency for reform, communicate a vision for what needs to be done and how the sacrifices will be shared? At the peak of the previous bubble, in 1992, the price to yearly rent ratio was P/R~20. At the bottom, in 1998, it got to P/R~12-15. Today, after 3 years of falling prices, we still have P/R ~25-30. This bubble is a very different beast. We are living a very rare event, specially because of the demographic undercurrents, only comparable with the Japan 80’s housing bubble or the 20’s craze in Florida. By 2015 real prices will be probably be close to 50% of their 2007 peak, and still falling slowly (in Japan they have been falling for 20 years). Cuerda de nazis, tendremos otra vez nuestra querida peseta mientras que dentro de poco el euro se lo van a tener que meter por el culo. Great, great blog. First time I’ve visited. Linked from FTAlphaville. You say Spain “needs funded pensions”. I have come to the conclusion that it is the creation of these massive savings pools seeking a yield and whose counterpart is debt is perhaps at the root of what is happening in the financial system as yields tend to zero and people found themselves overindebted and likely to default. The best route may actually be to do the exact opposite of what you suggest to bring the money system back into balance. This includes re-balancing between the very wealthy and the indebted, surplus nations with deficit nations and the reduction in size of these huge, huge pension savings pools so people have more to spend/invest into the economy rather than gravitate towards assets. “I have come to the conclusion that it is the creation of these massive savings pools seeking a yield and whose counterpart is debt is perhaps at the root of what is happening in the financial system as yields tend to zero and people found themselves overindebted and likely to default”. Well, in a certain sense you are absolutely right. The imbalances are at the core of the issue. But not saving to have pensions won’t help Spanish retirees have pensions unless the Germans are willing to pay them, and they are willing to pay their own. Of course, we probably will follow the Japan lead in the Euro Area, have long term QE, and stuff government bonds into the ECB. But as we will see at some point in the Japan case, that will work for just as long as it does. And then what happens….? Basically the route of the problem is the demographic transition, and rapid population ageing, but strangely few want to talk about that. It wasn’t foreseen in the academic textbooks. So we pretend the textbooks are right, and reality is wrong. Not surprise me from a path designed 15 years ago, Spain cannot be competitive w/o a more convenient exchange rate, devaluation, but we are in the Euro, and with our debts in Euroâ€¦ and the Euro exchange rate is marked by the German industry that is happy with the current oneâ€¦ The deflation rate required is so huge that it is impossible, as you know. No wayâ€¦ someone has decided the unemployment is cheaper in Spain than elsewhere. Regarding politician, do you believe they know what they are doing? Really can you do something in four years for changing the global economy? I am not defending them, as honestly they do not deserve, but we need to see the full picture to understand this insane scenario. 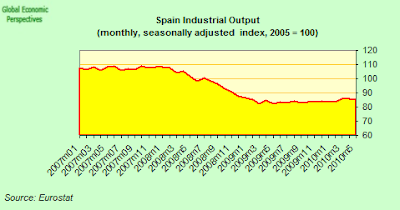 And Spain is nothing compares what is happening in its north neighborâ€¦ fasten you belts. When it comes to loan i always prefer quick loan because this is so easy to apply and simple. the first region (i.e. US, China, Europe etc. ) to fold is likely to get severely punished – hence the extend and pretend – and the economy becomes valued partly in terms of social and financial cohesion. That does not necessarily provide the best economic model for the world we live in though. I am not giving a moral in my comments only emphasize from where the crisis it comes, if we want to understand the current situation. For me is obvious and looking at who is leaving the crisis before others, which is the most advantage country in the Euro construction. Perhaps there was no other solution for China rescue (Mega-Plan Marshall), but it is clear who was sacrificed: millions of workers in EU and USA in the light industries now all transferred to BRICs countries. 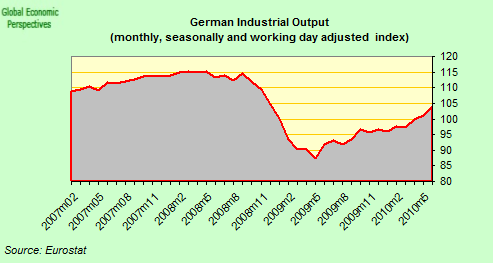 Because that is all about, for ten years this industrial downsize was covered by a huge increase of money printed by the FED and transferred to Euro zone by the German commercial sales, that becoming loan in the Spain/Uk/Irelandâ€¦ countries for the real state bubble. But without this continue stream of money, how are you going to keep this economies at the time to keep the China commercial revenues? As I understand we are still far away from China internal market will support al least part of its economy (so increasing the average salaries doing them less competitive). And obviously all of that is impossible w/o FX market controlâ€¦.. The fact to see this media war about who is the weaker is a little embracing. But probably required for the showâ€¦. We have therefore known what was coming. Timing and who was nearest the chair when the music stopped was now crucial! Yet Europe bought this garbage and then decided to back more lending on the back of these highly suspect subprime assets! EZ and EU authorities were aware of what was coming. Interest rates were kept low to destroy economies by encouraging malinvestment. Was it done for commissions? Or were they jusat negligent? I prefer the former! What was going to be bad was made worse by low interest rates. I did not mean to suggest you were moralizing, and I mostly agree with you view. Roughly ten years ago you could litterally feel those shifts happening. I think that northern investment in the south was partly planned and partly oportunistic. Remember also that during Spain’s entry into the Euro, a lot of undeclared money ‘had to be’ hidden in real estate, which may have started the ball rolling. Foreign purchases increased also due to the stability investing in Euro denominated assets implied. After that the only balance to BRIC productivity was to revalue and spend on the revaluations (mostly in property) – maybe if China had allowed its currency to float then the whole readjustment would have been more moderate ? Ultimately China handing money back to the west, in return for investment mostly – I should wonder if this retro flow of money was not foreseen and the beneficiaries in the west already prepared ? At the end of the day all the interreliance also makes all the players weak in one sense or another – in that once this show stops working for whatever reason it affects all the economies. This is the beef Ed. has which could equally be applied to Europe as a whole in many ways – what now ? Exactly what is the plan and why are countries not readapting their economies and legislation to that plan ? Germany may be almost ok, but won’t be so much so when all its neighbours are sunk. Even I am a really pro-system, I have to admit this system is easy to manipulate and it is. Shifting to another time; one of the lessons of the WWI was the war is not over after the last shut, you need manage your victoryâ€¦ all of that situation start around 1989 when USA won the cold war: the winner needed to take care of the defeat armies and feed their countries, mainly China. It was a demography pressure to do this movement, simple we cannot have 2.000 million starving people out side of the system, with nuclear power!! So we need to print $ for a new global economy and to lunch the biggest rescue program never done before. Now we have that picture: the winner is sinking (at least they said that) but having the biggest army never had for any country before, with its two main partners (Japan and Germany) living on the top, irony German people are living even better than its Master peopleâ€¦;) â€¦ and the world around (EU) is sinking (that is a real stuff) but hold by cheap money printing now just for state debts as it has no impact heating the economy (we are in a deflation process). I believe none officially has predicted this scenario, but it is difficult to accept it is casualâ€¦ The USA debt/GDP is lower than at the end of WWII. Finishing: All is about China increases quickly the average salaries to at least 500 dollar/month to equilibrate the commercial balance. Of course Chinaâ€™s leader want like now, getting money but not sharing it as people with money start thinking by themselves â€¦ It will happen like that? China needs some more stimulus (push them) to react as planned? The last decades monetary expansion in the west was mostly through fractional reserve lending, i.e. debt . That is no longer possible as the ability to repay has reached its limit. China has benn printig away to maintain its peg and buy dollars off Chinese beneficiaries, which it continues to do. It then reinvests in foreign sovereign debt, so funding up until recently the US national debt, the likes of Freddie and Fanni etc. , and some EU sovereign debt – it is now switching to Asian debt, so shortfalls in US sovereign debt are being made up for by private US purchase as they start fleeing the equity markets. Add to that the US can print money and buy US sovereign debt from its reserves. In the EU it is ‘verbotten’ . The ECB has accepted assets as backing for its extra liquidity to banks which have then bought government debt with that – that has its limits, but has the effect of subsidizing government expenditure at a profit for the banks but at an eventual expense to the economy which has to repay and with interest. You might say that the flow of money has been diverted temorarily to government use for the profit of the banking system ? I don’t think the ECB will start direct bond purchases on the primary market, but will use every method half legal if necessary. The extra liquidity that has been provided in the west has not really found a home either (apart from governments who always have some excuse to spend). Bank reserves are very high in the US particularly , in essence because of lending worries and maybe to support a potential further depression, but also because there is little worthwhile investing in at the moment, though equities have benefitted from some support. Many businesses also have large reserves for similar reasons there , as does China and a few select countries. So from a distance it looks like a buildup of liquidity reserves in one form or another in the larger enterprises – how might these actually be used ? Some are suggesting an era of mergers and acquisitions , whether this might extend to China , and vice versa , I do not know , and whether such is in preparation for when any market falls through, or to help monopolize and support certain markets I could not say. Certainly the consumer model in the west is pretty much stuck, and China’s hasn’t fully taken off in spite of all the state spending to that end – maybe we will have to wait until a majority of Chinese are heavily endebted to see some wage inflation ? Either that or the Yuan exchange rate will have to increase to provide that similarity – the way the peg works we would have both the US and China printing madly with no effective change except devaluing their currency vs. the rest of the world and flooding the world with their cheap money ? Yes, you are right Br, it is an absolutely mad scenarioâ€¦ the concept of preserve the richness now is the most important problem for big money as now they see they are floating on it. Simply, they donâ€™t know where to put their money on. All assets are hyper-evaluated, nothing is worthy now at this prices. But it is not important at all. To crash the dollar bubble, the main US partners (China, Japan and Germany) should refuse the dollar as trade currencyâ€¦ and that is impossible. Or the dollars holder sells all of them, but for getting what? Gold? As higher than nowâ€¦ moving from dollar bubble to gold bubbleâ€¦ this is a money trap. But it works, absolutely works, Ive told you I am pro-system, I love what they are doingâ€¦ they are trying to save this planet from a nuclear holocaust.. What else. Why do you think the Big Money is doing all of that, because it will be not solved with a conventional war with poor people dying. Pingback: We buy any house any price any condition . Get free estimate . Get a cash offer in 30 sec . We are open 24 hours.